laughterhouse is the word that I used to describe the High End exhibition in Munich last year. What I had in mind was the fact that the number of visitors per square meter at that time exceeded human perception capabilities. As Kurt Hecker, the Chairman of the High End Society (the organizer of the exhibition), said, the whole exhibition area offered by the Munich Order Center was used then. This year there were even more exhibitors willing to participate in the event. As I had predicted, the only possibility left for the organizer, i.e. the High End Society, was congestion – both in halls and in open areas in the so-called Atria, i.e. areas between rows of rooms on the first floor. 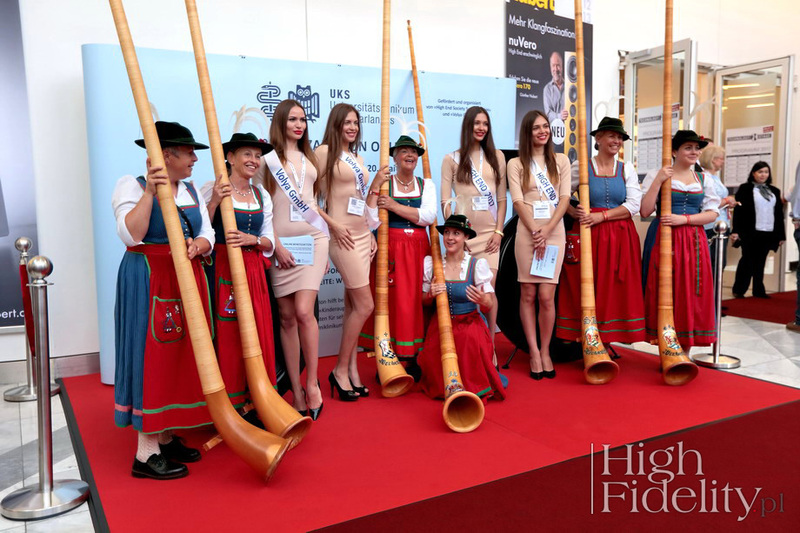 It must be a coincidence, but the rise was accompanied with a change of the Managing Director of the High End Society – during the 36th edition of the exhibition that originated in 1982, Stefan Dreischärf was appointed to replace Branko Glisovic. 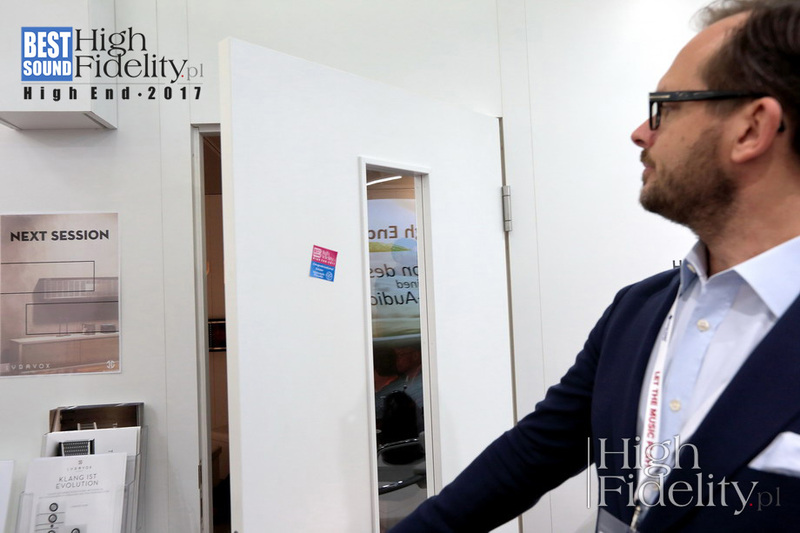 As we read on the Society’s website, he is responsible for “organizing the High End exhibition and the relationship with our partners and exhibitors” as the “project manager” (The Team [accessed: 22.05.2017]). As I knew beforehand that the two days that I had were not enough for me to see everything, i.e. were enough to see just a little part of the exhibition, I gave up running, barging and hunting – that would have resulted in nothing good, anyway. On Thursday I only went to the presentations and meetings that I had planned to attend, while on Friday I just had a cursory look at the whole exhibition. So, I only saw a fraction of the stands and systems, and I hope you will forgive me that. 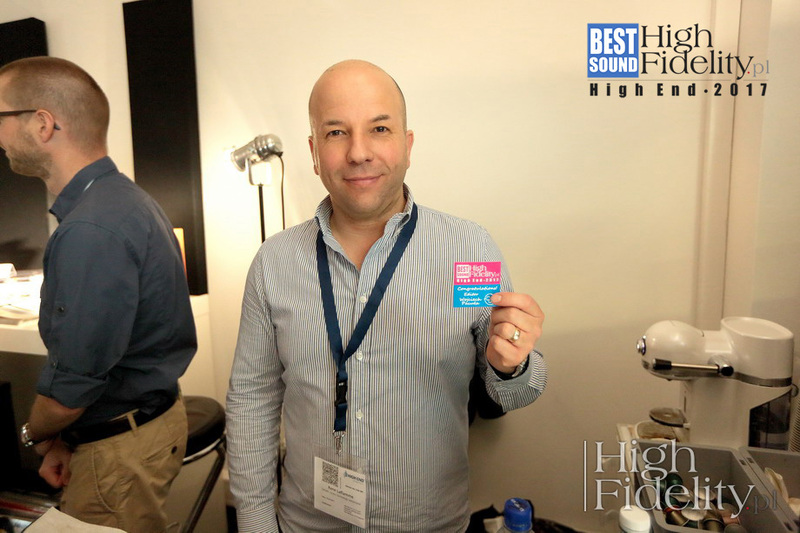 Then we also awarded the Best Sound High End 2017 awards. I will start with a presentation that I was late for and only managed to take a picture of the Stern model through glass – I am talking about the Audionet Stern preamplifier and Heisenberg power amp. I talked to engineers later and got some literature, so I know something about the devices. They are intended to become top high-end products, embodying all of the company’s knowledge. 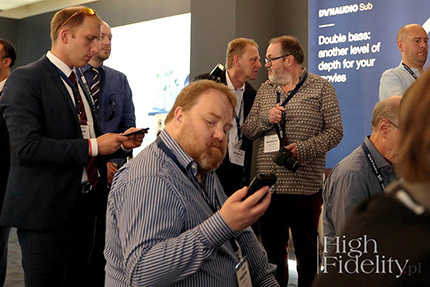 Apart from a lot of interesting system and mechanical solutions, it is worth paying attention to the design, which almost always constitutes the weakest aspect of audio devices. In this case, the person responsible for the look is Hartmut Esslinger from the Cupertin studio, one of the most famous German designers who had worked for Sony and Apple, among others. It was a good idea – Heisenberg got the National Design Award, one awarded in the USA to the best designs, and then his work was exhibited at the National Gallery of Art at the Smithsonian Institution. The devices look amazing and produce organic, almost warm sound. I must listen to them at my place, but I can already say that they are the current top high-end. 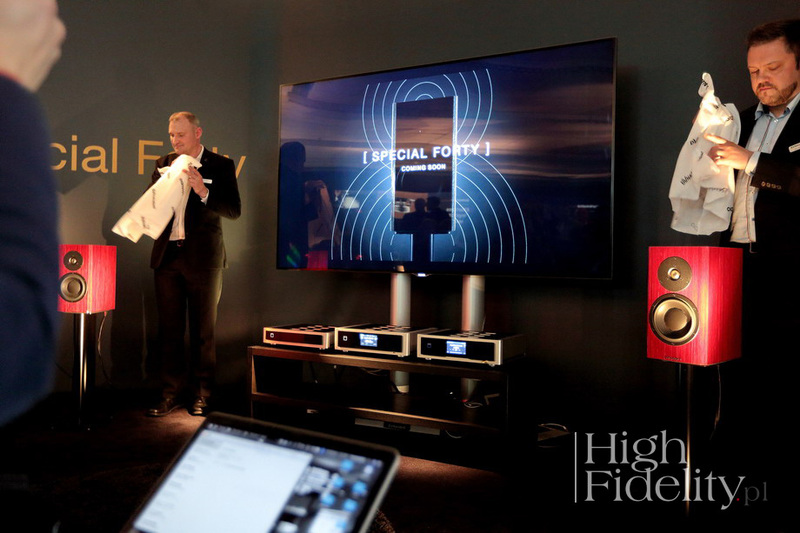 The premiere of the Special Forty speakers, as you can easily guess, was intended to honor the 40th company anniversary. 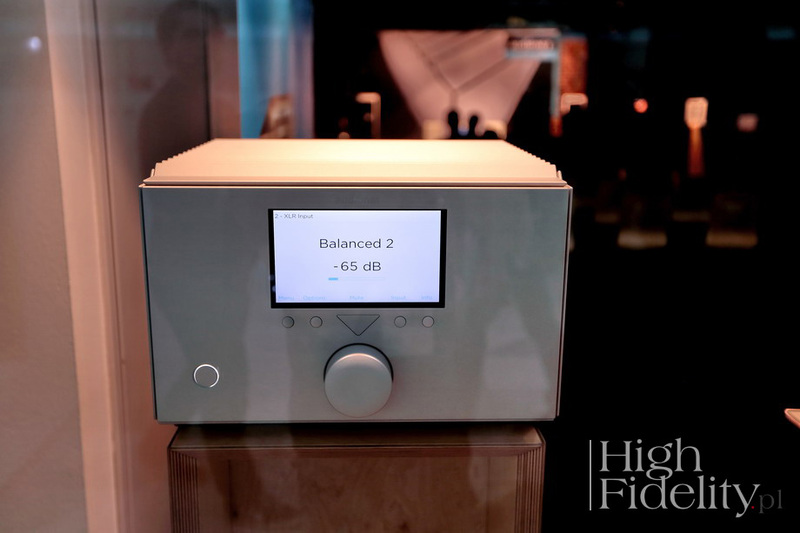 Dynaudio decided to celebrate with speakers that are small, relatively cheap and available to everyone – i.e. it is not a limited edition. The Special Forty are standmount two-way speakers that crown the whole series of such a type of products, with the Special One, Special Twenty-Five, Crafft and Contour 1.3SE in the lead. There are two exclusive finishes available for the speakers: Grey Birch or Red Birch. Veneers are cur cross grain, so they look different than usual. Both the woofer and tweeter were made especially for this model – the former is a new version of a bass-midrange speaker with a diameter of 170 mm and an MSP cone, while the latter is the latest Esotar version. It has a hybrid magnet, which allows more space in the rear chamber, thanks to which more damping material can be packed in. 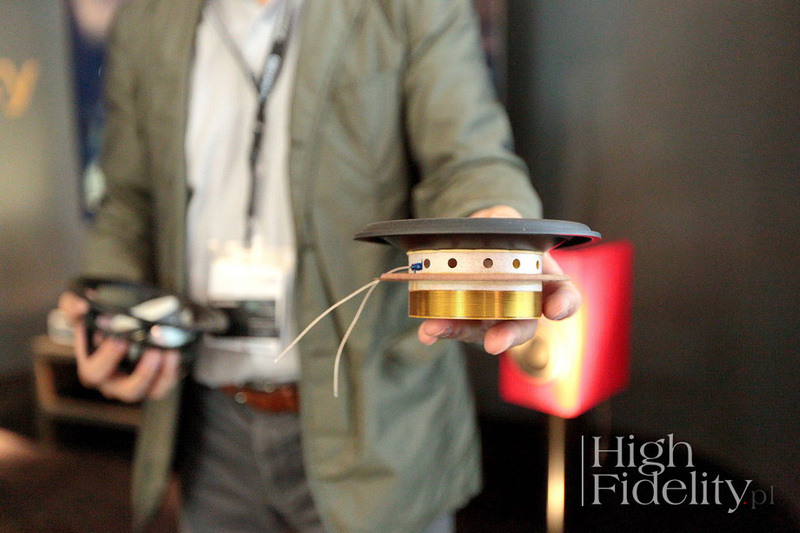 They are connected using a first-order crossover that is complex as it incorporates 6 Ω Impedance Alignment and Phase Alignment technologies. The suspension of the woofer is asymmetrical in order to improve the linearity of membrane excursion, while the AirFlow Basket, i.e. asymmetrical basket arms are to help air flow freely. The speakers were connected to a NAD system, with a file player as the preamp and a D-class power amp. The sound we heard can be described as dark, large, full, dense and detailed. It is unbelievable how fast audio companies have moved from “detail” to “general”, maintaining all the advantages of both reproduction methods. The thing is that high-end sound now is sound which is dark at first sight, until instruments operating in the treble enter, as then it becomes strong and detailed. “Darkness” tells us about minimizing noise that used to create the impression of “openness” and “detail”. It was fake. Real sound reproduced in home conditions and from any medium is, in my opinion, more similar to what I heard in the Dynaudio room than to sound from hypercorrect, hyper-clear systems where you seem to have everything, but the listening experience is just unbearable. The Special Forty speakers produced very big sound. They created a lot of space in a few dozen square meter high-ceiling room, with very low bass (as for standmount speakers). Its lower edge was not clearly controlled, but, in the end, that was an exhibition. Anyway, the Special Forty are beautiful speakers that sound “my” way. 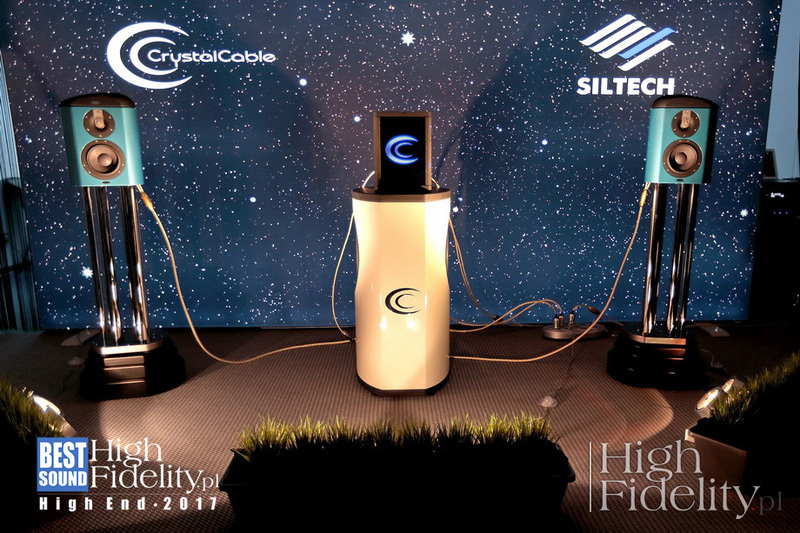 International Audio Holding, the company behind the Crystal Cable and Siltech brands, had two important premieres this year: speaker and power cables from The Ultimate Dream (Crystal Cable) series, and power cables completing the Triple Crown series (Siltech). The Ultimate Dream series is the greatest achievement of the company. Each cable consists of seven different conductors: a monocrystal silver and gold alloy, a silver and gold alloy, a gold-plated one, monocrystal silver on the outside and a silver-plated monocrystal copper screen. 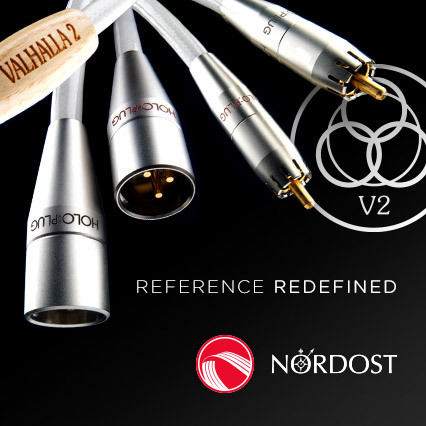 The Triple Crown Power is a cable made of monocrystal silver, using the latest Furutech connectors from the NCF series. 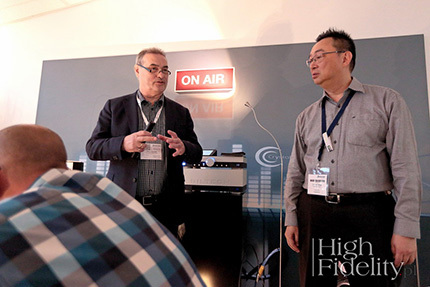 The CEO of Siltech, Mr Edwin van Kley (a member of the Krakow Sonic Society) and the presenter, Mr Lincoln Cheng, the editor-in-chief of the “Audiotechnique” magazine published in Hong Kong. However, the presentation that I participated in included both cables and electronics (the Crystal Cable Integrated amplifier and the Crystal Cable Minissimo Diamond speakers with a special top, minimizing diffractions) in the background. 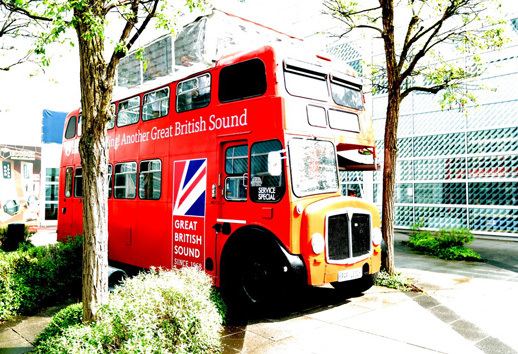 The sound source was the dCS Vivaldi transport with an external clock. The main theme of the meeting were so-called “glass discs”, i.e. CDs made not of polycarbonate (ordinary CDs) or plastic used for LCD production (SHM-CDs and HQCDs), but of glass. However, it was enough to listen to an ordinary version of a given CD and to its glass counterpart just for a moment to understand the whole thing and see how much is lost between the mastering studio and the consumer. It is a thing that I have been repeating for years, presenting Master CD-Rs burnt at a studio. Glass discs have incredibly filled sound and a very silent “background” – it seems that their sound is velvety and soft, but only because we get plenty of information. In contrast to them, an ordinary CD seems to be very euphonic and colored. All of this was clear and obvious from the beginning, since the Crystal Cable system that we used to listen to music is both characterized by incredibly high resolution and wonderfully “musical”. The latter means that we did not focus on details, but synthesized the overall picture in our heads, without a loss of information or blurring the differences, exactly because of the fact that these differences were so perfectly clear. 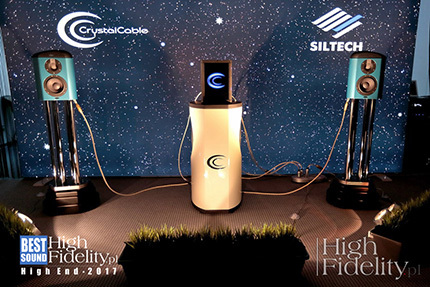 So, I had no choice and the Crystal Cable & Siltech room received the Best Sound High End 2017 award. However, in an alphabetical order, the last of the four described presentations, held by Mr Hideaki Nishikawa, the head of designers, opened the whole exhibition. 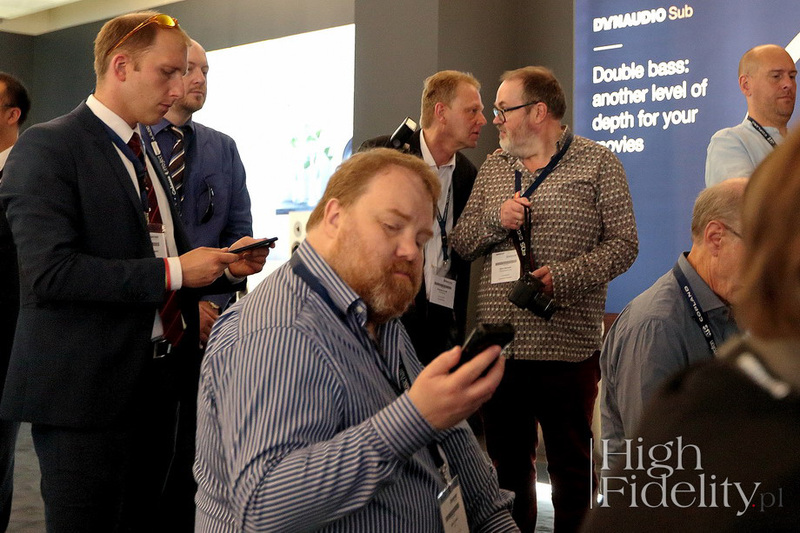 On Thursday, the day intended for the so-called “industry”, at 10 o’clock I sat in the first row next to Michael Fremer (“Stereophile”), with Ken Kessler (“Hi-Fi News”) on the left and Robert Harley (“The Absolute Sound”) behind. 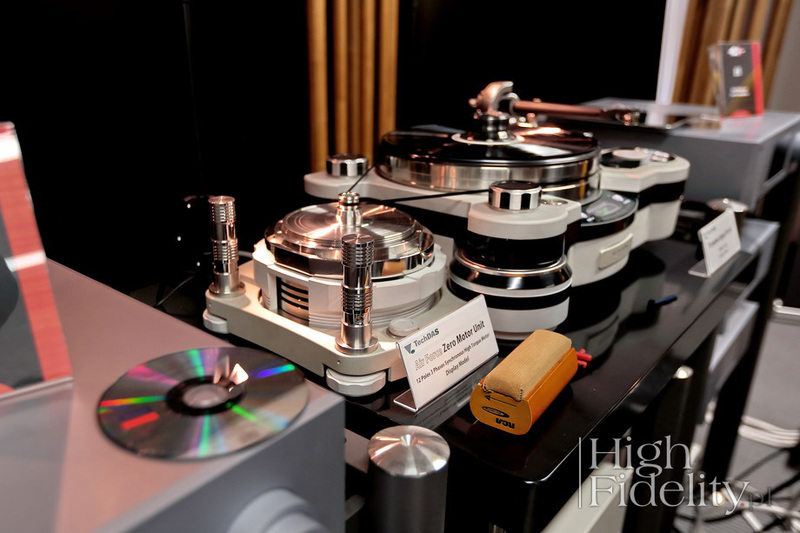 The topic of the presentation was supposed to be the latest and the most expensive (two times more costly than the Air Force One) turntable from the Japanese company TechDAS. 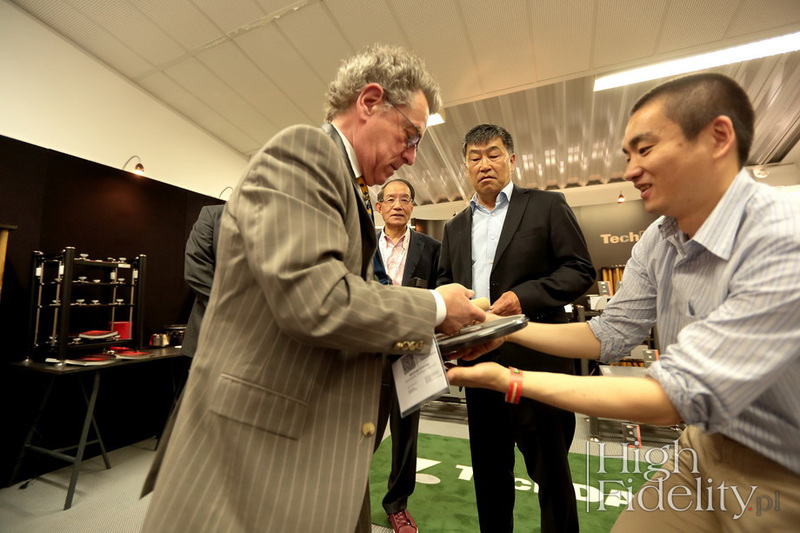 The presentation was untypical in the sense that Mr Hideaki Nishikawa talked in Japanese, which was interpreted into German by one of his colleagues and from German to English by our friend, Volker Bohlmeier, the owner of the Einstein company and the German distributor of the TechDAS brand. 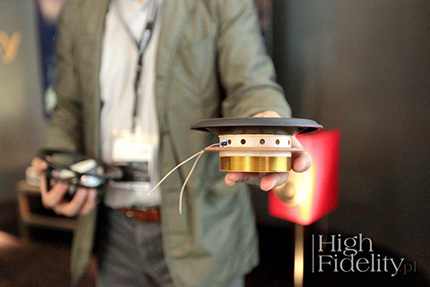 Michael Fremer (“Stereophile”) is trying to hold the upper part of the plate, made of tungsten. It was supposed to be a presentation of the Zero model and it was, but not completely, as only the Zero motor module was delivered to Munich. So, the listening session made use of the Premium model, i.e. an improved version of the One, with the Zero motor. We could learn what the complete Zero is supposed to look like by looking at pictures from a tablet. Not much can be said about details, but it is known that the artistic design is a lot different from earlier TechDAS devices. It is also known that the plate will be the same as in the Premium model, i.e. with the upper layer made of a tungsten alloy. “Tungsten” seems to be one of the new “magical words”, replacing “titan”. 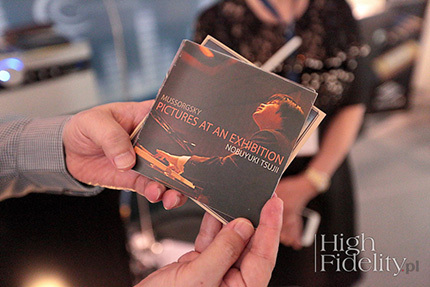 The thin thing was so heavy that Mr Nishikawa-san’s assistant (just like Michael Fremer) could hardly carry it in both hands. However, we could see the most important element – i.e. the motor – live and listen to what the Premium model sounds like with it. In fact, the motor resembles a highly advanced turntable, as it has a large-diameter plate floating on an airbag, just like the main plate in TechDAS turntables. The whole thing is large and looks like, let me repeat myself, a small turntable standing next to a big one. The motor got another box with an air pump – the same as the main plate. Pneumatic decoupling is to eliminate speaker vibrations (their impact on the motor) and motor vibrations (impact on the main plate). 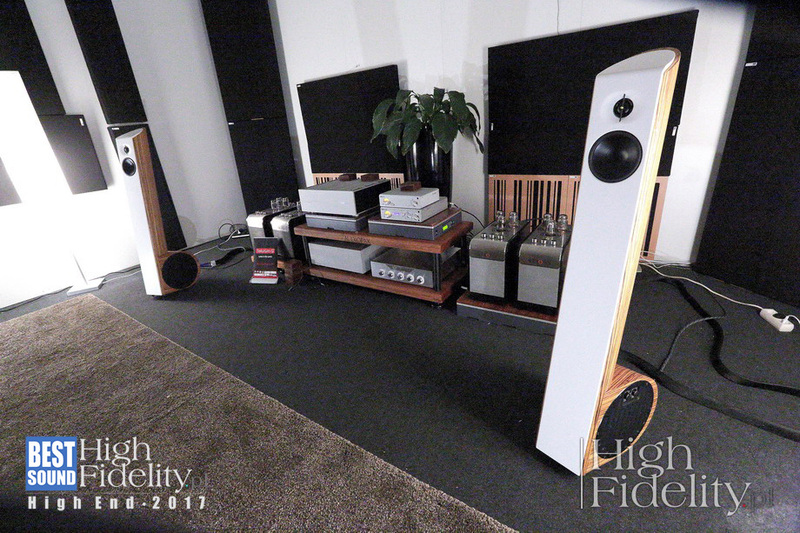 The turntable operated in a full, top-of-the-line CH Precision system, with enormous Vivid Audio Giya G3 speakers having a brilliant yellow color. It appeared very quickly what the greatest advantage of the new motor is – after a few bars of the first musical piece, one metal woofer grille fell off – the woofer excursion was simply incredible. Then, another one fell off and the remaining two were quickly removed by Mr Nishikawa-san’s assistant. It is all about incredible dynamics. It is a turntable that produces unbelievably clear sound, characterized by almost as good resolution as a reel-to-reel tape recorder. Anyway, dynamics was number one. Takeshi Inomata’s album The Dialogue, released in 1977 by a Japanese specialist in “absolute sound”, Audio Lab Record, was played at the end of the presentation. The percussion sounded live. What I always hear while listening to recordings, i.e. compression and a characteristic “microphone” sound did not exist there. It was real, live percussion – one of its best reproductions I have ever heard. 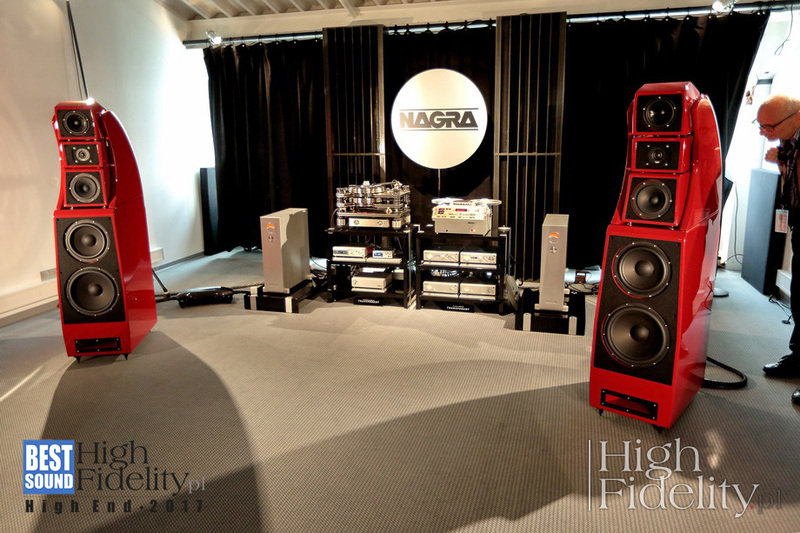 A visit in the Nagra company room is always an important event. This time, René Laflamme chose top-of-the-range Nagra HDamp power amplifiers and Wilson Audio Alexx speakers. There were four sound sources: the Kronos Pro turntable, Nagra T R2R reel-to-reel tape recorder, Nagra Seven file player and Nagra CDT CD transport. For me, the most beautiful sound was produced by the tape recorder, but it was closely followed by… the CD player. 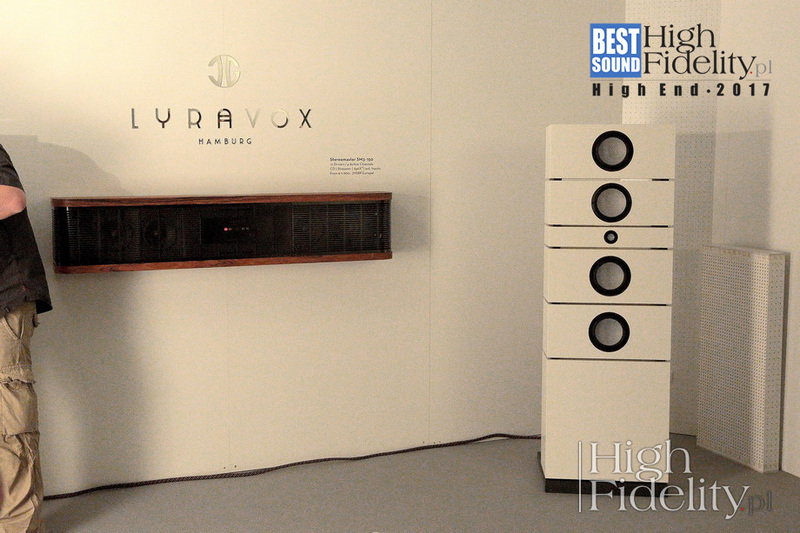 Lyravox, a company with a seat in Hamburg, came across as brilliant when it offered integrated music systems completely different from any other ones (at least at first sight), during the High End 2015 exhibition two years ago. Perfectly made and designed, they were a sort of “soundbars” for people with imagination and money. In systems hung on walls, there was a CD player, a Bluetooth receiver, a set of amplifiers with DSP correction and speakers. The sound was simply charming. This year, when I was going to a meeting with Mr Götz von Laffert, who founded the company with Mr Jens Wietschorke (Wieczorek in Polish maybe? ), I thought that he wanted to show me another version of the concept. Imagine my surprise when I saw enormous floor standing speakers at the entrance to the exhibition room. Karl, accompanied by its smaller version – Karlotta, is a technologically advanced active system based on ceramic Acuton speakers and a Scan Speak woofer. The system is equipped with an audio file streamer, eight D-class amplifiers, (500 W each) and a DSP system, correcting the phase, amplitude and crossover filters. Of course we know such systems, for example the already iconic Beolab 90 speakers, but Lyravox added sound to technology and design – sound that was surprisingly mature. “Surprisingly”, as we are talking about a company that was set up in 2013 – one that has not had any experience with such projects so far. What a surprise! The sound resembled what we get from high-class tube amplifiers and a good turntable. If this is what digital audio is to look like in the 21st century, we are at home… The system costs €43,000. AEQUO AUDIO | AUDIOPAX | SOUND GALLERIES | TELLURIUM Q | INFINIT! I happen to know almost all the components of this system – except for the server and the rack – from tests in my system. In Munich, the Aequo Audio Ensis speakers produced free, spatial sound with really few colorings at the bottom end, which is a nightmare in all exhibition rooms, especially such ones (with thin walls).